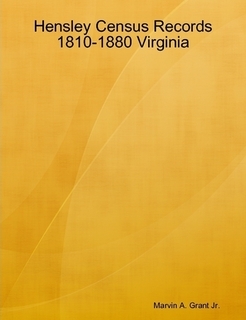 Hensley Genealogy - VA, NC, TN, etc. Welcome to my Hensley web pages. This name is also spelled Henslee, Hensly and may be somehow related to the Hansley, Hinesley and similar surnames. My most recent Hensley ancestor is Rachel Burnette Hensley (1829-1909) who married Lafayette George 1851 in Monroe Co., TN where she was born. She is a daughter of Samuel Hensley (1801-1852) and Nancy Johnston who married 1823 in Knox Co., TN. Samuel Hensley is a son of Larkin Hensley (c1767-c1806) of Washington and Scott Co., VA. Larkin is a son of William Hensley. DNA testing shows he is related to the bulk of other American Hensleys as well. Hensley DNA Project - Use DNA testing to break down your genealogical brick walls and find out which genetic branch of the family you are part of. Click link for details. I'm not involved in the Hensley project, but I highly recommend it.